Every year around 150,000 dogs and cats in the United States are bitten by venomous snakes. Most occur when it’s warm outside, so before you and your pets rush out to enjoy the warm weather, make sure you are familiar with poisonous snakes and know what to do if your pet is bitten by a snake. 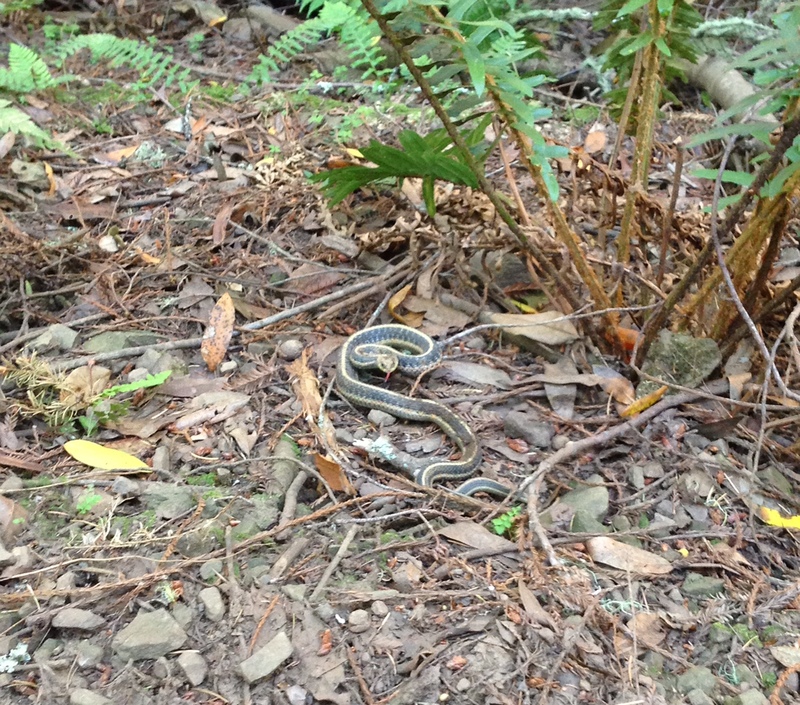 Think these slithery dangers don’t exist in your neck of the woods? Think again! There are 20 species of venomous snakes in North America and they are found in every state except Alaska, Hawaii and Maine. There are two families of venomous snakes in the US: the Crotalidaefamily (pit vipers such as rattlesnakes, copperhead, and water moccasins) and the Elapidae family (coral snakes). Since the majority of bites are due to rattlesnakes, I will focus primarily on them in this blog. There are 32 species of rattlesnakes that range from southern Canada to Argentina and 16 species live in the US (Eastern Diamondback, Western Diamondback, Sidewinder, Lower California, Timber, Rock, Speckled, Blacktail, Twin-spotted, Red Diamond, Mojave, Tiger, Western, Ridgenose, Massasauga, and Pigmy rattlesnake). Rattlesnakes come in a variety of colors such as tan, brown, gray, black, red, green and even white. While found all over the US (except HI, Maine and AK), they are most concentrated in the Southwestern United State. They can be found in many different habitats such as deserts, mountain ranges, forests, prairies, and even along the coast. Rattlesnakes can be around all year but are most commonly encountered during the warmer months and usually hibernate in the fall and winter. Snakes bite when they feel threatened. 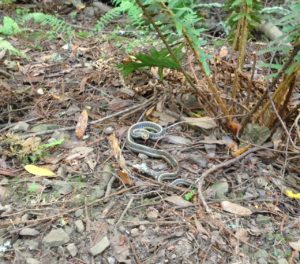 A common scenario occurs whenyour dog encounters and startles a snake on a trail. A rattlesnake can bite your dog even if the meeting is not face-to-face. Rattlesnakes can strike as far as half of their own body length. Although they usually warn before striking by rattling their tail, rattlesnakes do not always rattle before they strike. Rattlesnakes can also control how much venom they release. They release more venom when threatened than when they strike offensively to warn. The severity of the bite depends on the amount of venom injected, the location of the bite, size of the victim, rate of venom uptake and time before treatment is initiated. Snake venom contains a mixture of enzymes and peptides that cause a number of different signs and symptoms in pets. Dogs are typically bitten on the head and face while cats are often bitten on the legs, paws or body. Initial signs and symptoms are pain, rapid swelling, and the presence of fang marks. It is important to note that fang marks may or may not be seen depending on the extent of swelling and also whether they are covered with hair. Within 1-3 hours pets may also become depressed, febrile, vomit, have trouble breathing, have low blood pressure, have a rapid heart rate, and develop bruising around the bit mark and bleeding problems. Rattlesnake bites can be fatal without treatment. Left untreated they lead to circulatory collapse, bleeding disorders and death. The sooner treatment is initiated the better the prognosis. If you think your pet wasbitten, take them to the vet immediately. Do not wait for signs to appear before seeking veterinary help. Be sure to check back next week for Part II of “Protecting your pets from snakes” for information about how rattlesnake bites are diagnosed, treated and tips on how to prevent them in the first place.